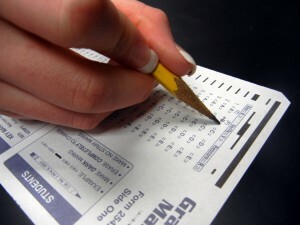 If you've decided to take the SAT or any other standardized test, you need to be well-prepared. You should start studying some weeks before the test because you've got a lot of material to cover. You should also have a plan to work more efficiently the day of the exam. Here are some tips. Don't cram the night before: You're not going to learn anything by cramming the night before your test. It's better to go to bed early to get some decent sleep. Start with breakfast: Begin your day by eating some superfoods to strengthen your brain and your ability to focus. Get there early: You don't want to miss your opportunity to take the test because you go there late. Wake up early and leave early to the place where the test will take place. Take a sweater: You'll struggle to concentrate if you're feeling chilly during the test, so take a sweater. If it gets too hot you can just take it off. Read the instructions: Take your time reading and understanding the instructions before you begin. Begin with what you know: Start by answering the easy problems or the ones you know. You'll have those points for sure. Make a guess: Try not to leave anything blank. If you don't know the answer, try to make an educated guess. Review your answers: If you have some time left, go over your answers. If you want to increase your chances of acing your standardized test, you should look into hiring a tutor to help you prepare. Contact The Tutoring Center, Rosenberg TX at (832) 363-7873 to learn about their tutoring programs.